Today, June 14th only, head over to Amazon where you can score this highly rated Cubii Pro Under Desk Elliptical for $249 shipped (Retail $379)! 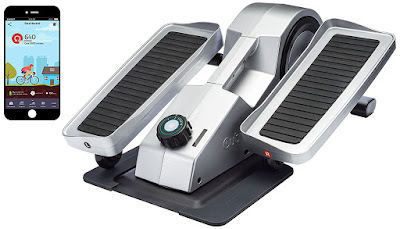 This under desk elliptical is designed to help you to work fitness into your daily routine. It is bluetooth enabled so you simply connect to the Cubii iOS and Android app to track calories, strides, miles, minutes and RPM. You can even set personalized goals for yourself and compete with others!